When you think about drainage, your first thought probably includes floors lined with big, unsightly grates. They can seriously detract from the look of a landscape, and make you feel like you have to create a design that cleverly covers it from sight. But, you have to be careful, as these drain systems still require easy access for maintenance and cleaning. Fortunately, there is a new form of drainage on the market called Slot Drain. This system is much more aesthetically pleasing and can easily blend into any landscape design without the need to cover it up. 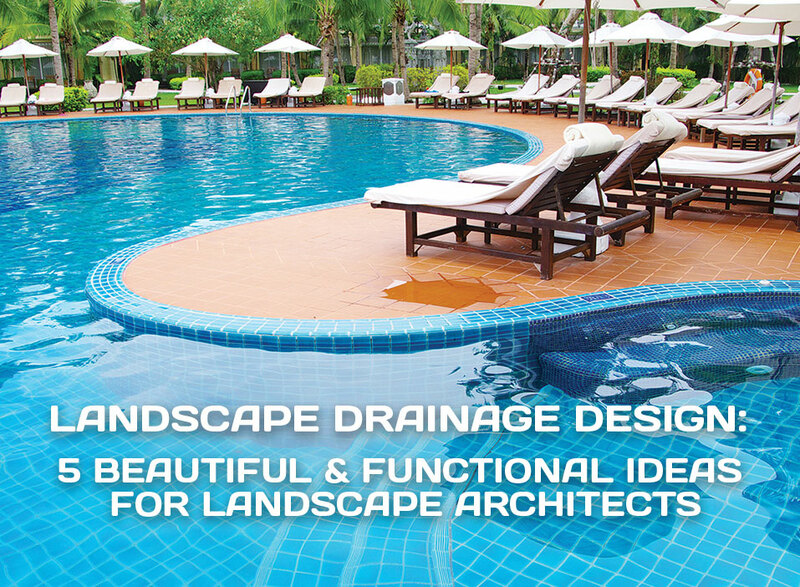 Here are some great landscape drainage design ideas to consider in your own planning. One popular way to use Slot Drains in public landscaping is by incorporating them into public park design, particularly in areas where fountains are present. In these areas, it is incredibly easy to come up with attractive landscape drainage ideas. It can be inset on the fountain or along the sidewalk in such a way that someone would not realize it is actually a drain channel. This drainage system will ensure that any rain water can easily drain away from the surface of the sidewalk, rather than being left to sit and make big puddles that can end up eating away at the concrete. Additionally, by installing a drainage system by a fountain, you can ensure that if the fountain for some reason experiences an overflow, the drain system will be there to quickly remove excess water. Large landscaping projects are not the only places that can benefit from the installation of a Slot Drain system. Another great landscape drainage design idea to consider is having a system installed next to private in-ground residential pools. A drainage system will help to drain away any water that gets splashed from the pool, as well as rainwater. But, because of the slim, streamlined look of the drain, it will look like just another design element. It can follow the same lines of the pool, stretching as far as it needs to in order to cover not just the pool, but the rest of the concrete portion of the backyard. 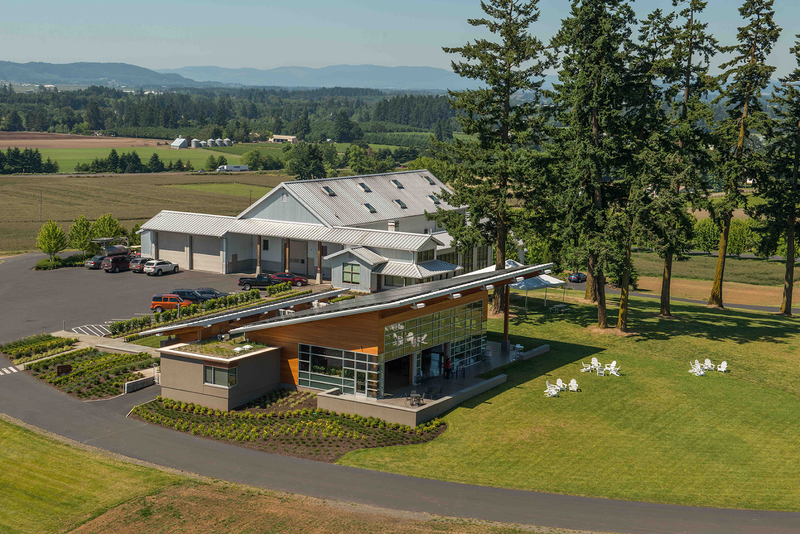 Wineries and vineyards tend to use a great deal of water, so drainage is essential. But, these places are also known for their beauty and tranquil settings and a traditional drainage system would take away from that. Fortunately, the Slot Drain system offers effective drainage solutions and great landscape drainage ideas. Drains can be installed near the physical structure to help redirect any wastewater created from rain and ensure that vineyards do not get flooded with water, giving the excess an escape route. Another great place where a drainage system would be beneficial is in a patio area, particularly one that includes garden plots. The great thing about these areas is that a Slot Drain system can easily fit into a patio design by making it follow along the line of stone pavers. Since it will be flat to the ground and does not require a grate to keep things from falling into the channel, nobody would even realize there is a drainage system in place, unless they pay close attention to the ground. This will help to ensure that there is some way to keep water runoff from damaging the property. 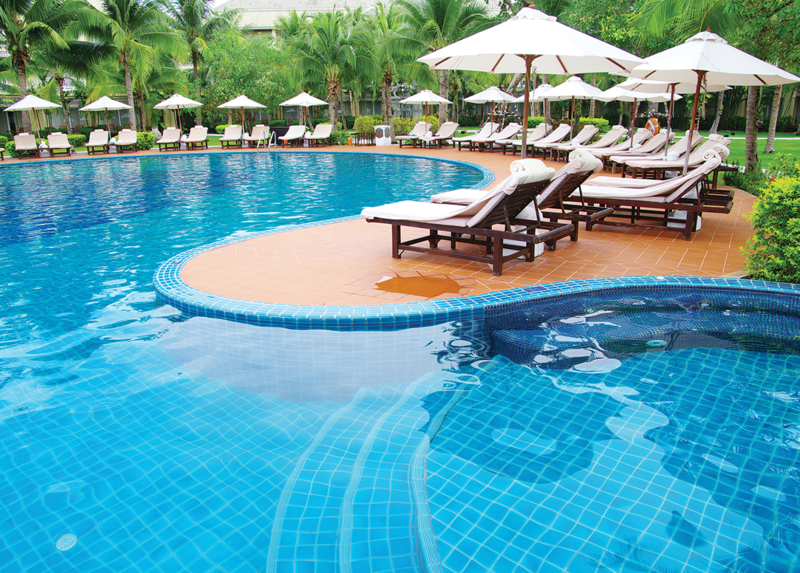 Just as a good drainage system is important for a residential pool, it is an essential for resort and public pools. These pools are used by a larger number of people and water is constantly being splashed onto the surrounding area. 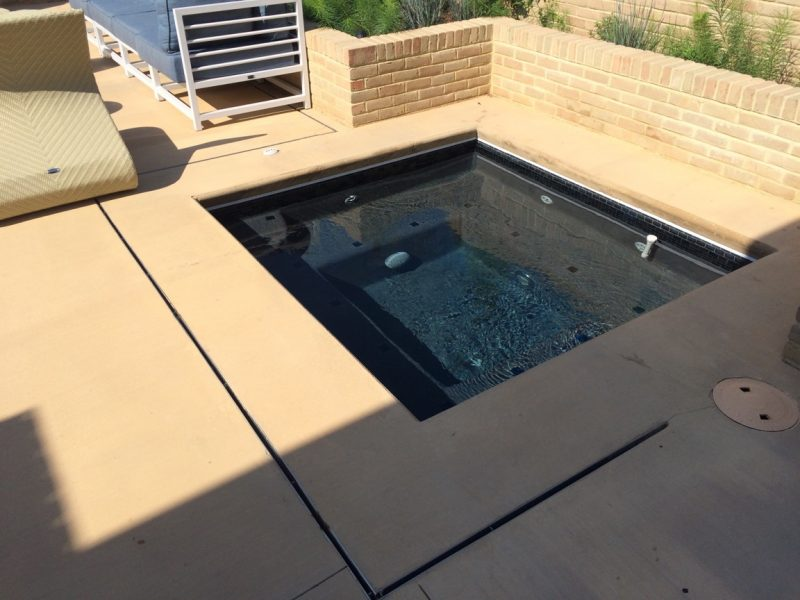 A well-designed pool area can take advantage of the sleek design of the Slot Drain and incorporate it around the edge of the pool area, so that any splashed water can quickly find its way down the drain, eliminating any potential hazards that pooling water could create. 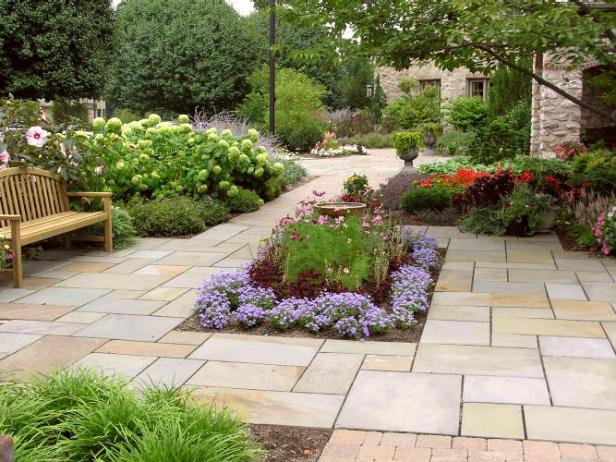 Proper drainage is essential for any type of landscape, even the simplest of backyard patios. But, with new types of drainage systems, like the Slot Drain System, there is no need to worry about coming up with a landscape design that will hide it. The Slot Drain system will blend seamlessly into any kind of landscape design without being an eyesore. 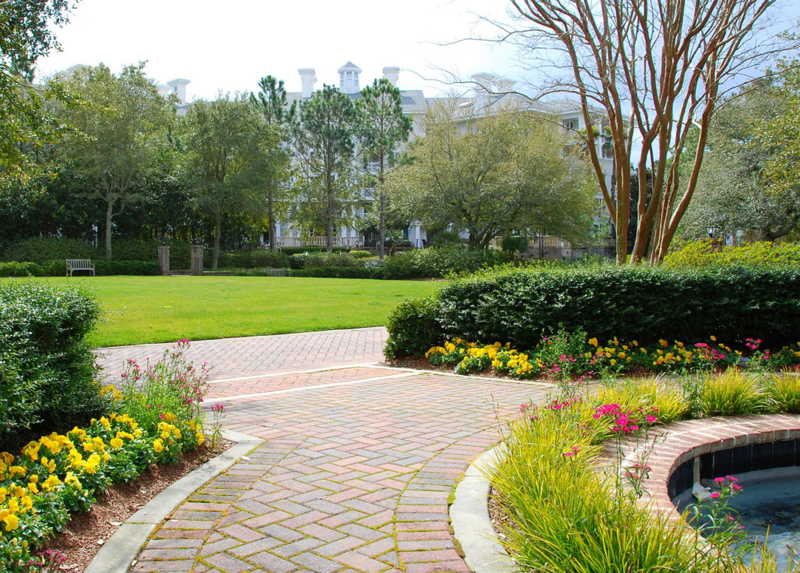 In fact, it will blend so well, nobody will remember it is even there, keeping wastewater away, protecting the property and, of course, keeping the beautiful landscaping design. 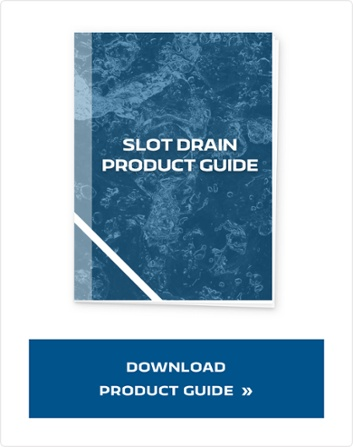 When it comes to designing a beautiful and functional landscape design, there is no better drainage option than the Slot Drain system. These are just a few landscape drainage ideas to consider, but the options are really endless and only limited to your imagination.